SCHEDULE 5E (18) KENNEL UNION OF SOUTHERN AFRICA REGULATIONS FOR THE SOUTH AFRICAN ROTTWEILER SIEGER SHOW Effective 01.10.2017 1. 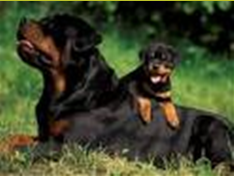 The Rottweiler Breed Council (RBC) of KUSA (Kennel Union of Southern Africa) was established in 1989. It has as members, all specialist Rottweiler Clubs which are affiliated to KUSA. 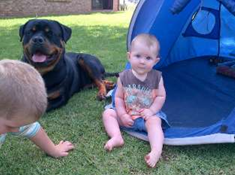 The RBC exists to improve the Rottweiler Breed of Dog in South Africa, to help all existing and potential Rottweiler owners about any aspect of the breed,wherever it can, and to educate the public at large about this wonderful breed of dog. There are certain breeding guidelines advised by the RBC and adopted by KUSA which pertain to not breeding any Rottweiler before a minimum age has been achieved and the hips have been x-rayed to establish the degree of hip dysplasia if any. Certain recommendations and rules exist in order for a litter to be registered with KUSA. Copyright © 2013. The Rottweiler Breed Council of KUSA. All Rights Reserved.